Mike's photographic journey spans 4 decades. He has a wealth of experience and insights, from initial shoot planning to post processing. He no longer just “takes” images, he “creates” them. Joining his 1st camera club over 40 years ago, Mike was immediately encouraged when he started winning photographic awards in local and CAPA competitions. One of the guest speakers at that camera club was a pro who outlined the realities of running a photography business. This resonated with Mike who had started down the road to weddings, portraits and events. He then realized photography as a career might kill the magic spark; so he refocused his photography as an avid hobby and artistic pursuit. He says: “At first taking great images, winning awards and getting ribbons was fun and motivating. Today my joy and passion for the art is fueled by seeing others looking and feeling beautiful”. Shoots are planned with a specific vision where the model, props, location, wardrobe, make-up etc. have all been considered in advance. He focuses on doing fashion shoots, glamour, fitness and creative projects for the fun and challenge. A born mentor and teacher Mike focuses on sharing his passion and experience with others. 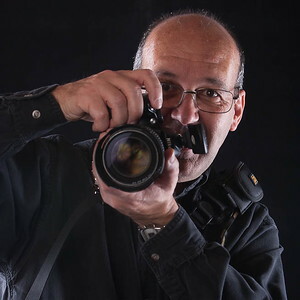 He supports several local camera clubs in various capacities and also runs a huge Ottawa-based photo interest group that has grown to over 2500 members under his leadership. It is run as a non-profit where the community is treated to a steady stream of creative events. Via his Meetup Group(s) Mike, hosts a wide range of photographic opportunities for photographers of all skill levels. These ongoing collaborations give local Ottawa photographers an opportunity to expand their expertise and perfect their art. Mike's greatest reward is seeing photographers grow in skill and confidence; sharing beautiful work that he realizes they likely could not have achieved without his support and guidance.